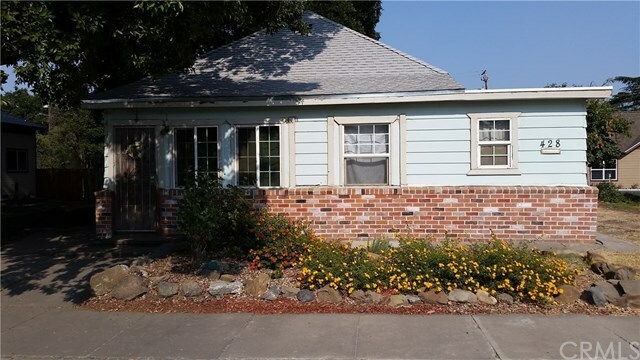 It's been a while since we've seen a house in Willows with this much space and this much yard for such an affordable price. New Energy Star roof just put on, dual pane windows, mostly wood floors, and a brand new EPA Certified wood stove just installed, so you will be free to use it any day you want without worrying about those no-burn days. A detached 20' x 30' garage/shop with alley access provides space for all your projects. This home does need some work: it needs laminate (or other) flooring to go into the kitchen and there is drywall work to be done. There are also a number of other more optional areas for improvement. Having said that, it would not take much to move in to, or to have tenants move in. Three bedrooms, 1 bathroom, a den/office, and a spacious 1476 square feet. Easy access to schools, restaurants, shopping, parks, and much more! Perfect for a landlord, contractor/owner, investor, or a homeowner wanting to just say no to rising housing costs. Needs to go cash, private or hard money and is priced accordingly.